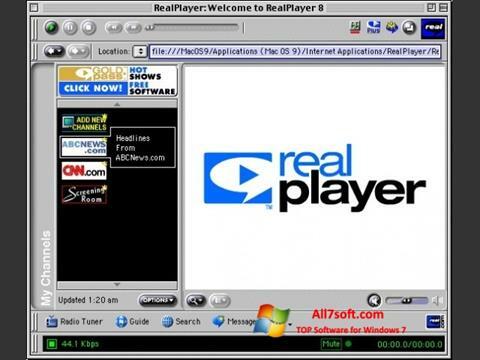 RealPlayer for Windows 7 - A powerful multimedia application that allows you to play streaming audio and video data. The utility is able to synchronize with the Internet, so it has a built-in browser. Using the program, users can save the content they like to the hard disk. In addition to playing streaming broadcasts, the application can work in the standard multimedia player mode, because it includes a set of audio and video codecs. The function menu allows you to create personal playlists, sorting them by the selected parameters. You can free download RealPlayer official latest version for Windows 7 in English.